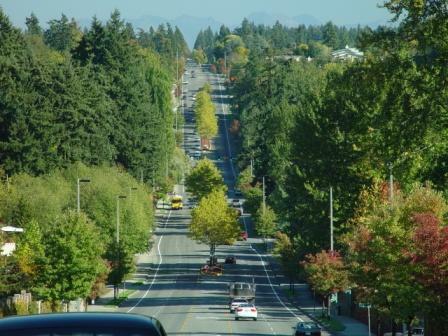 Hooray for Arbor Day in Washington: Are you living in a ‘Tree City USA’ community? Today is Arbor Day, a celebration of trees and all the great things they do for us in Washington State. We celebrate Arbor Day through a special program called Tree City USA® which recognizes cities and towns that go the extra mile to manage and care for healthy urban forests. That extra mile includes planning the maintenance of vigorous city trees, now and into the future. Now is a great time to properly prune your trees. As you do, be sure to never top a tree. Topping—radical removal of a large part of the tree’s crown—may get rid of a few problem limbs, but in the long run you will end up doing more maintenance each year. After a tree is topped, it grows suckers (weakly attached limbs); you’ll have a mess on your hands and a potentially hazardous situation. Learn to property prune now to lessen the damage next time storms hit. Find out if your city is a Tree City USA–there may be special programs to celebrate trees in your community this month. If your city isn’t part of the Tree City USA Program, contact your city officials to help them plan Arbor Day celebrations next year. Sponsored by the Arbor Day Foundation in cooperation with the US Forest Service and the National Association of State Foresters, Tree City USA® provides technical assistance and national recognition for urban and community forestry programs in thousands of towns and cities.